You must make reservations at least 5 minutes in advance of the time at Vim and Victor. 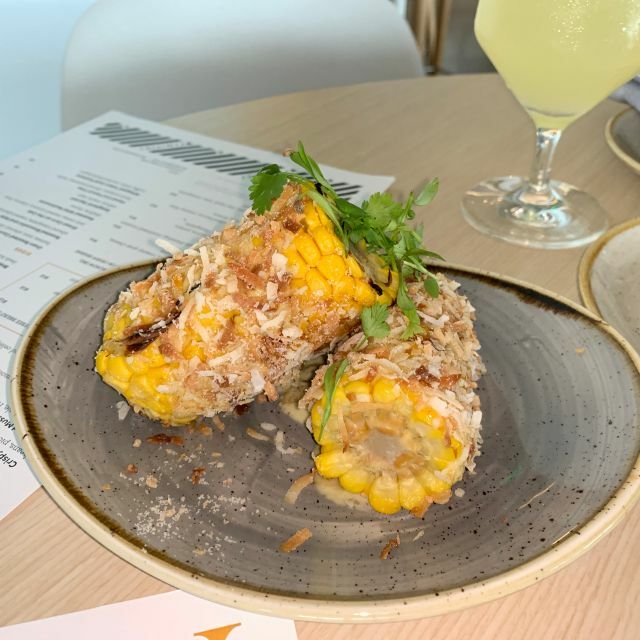 Chef Spike Mendelsohn’s Vim & Victor is a playful and thoughtfully-executed dining experience located within The St. James sports and wellness complex in Springfield, VA. Vim & Victor brings high-quality cuisine to the community with a little something for everyone. The all-day eatery features a grab & go counter (open from 6:30am - 9pm daily), alongside a full service restaurant and bar (open at 11am daily) - perfectly suited for a family after a game in the field house, groups of friends after a yoga class, or a post-spa cocktail. 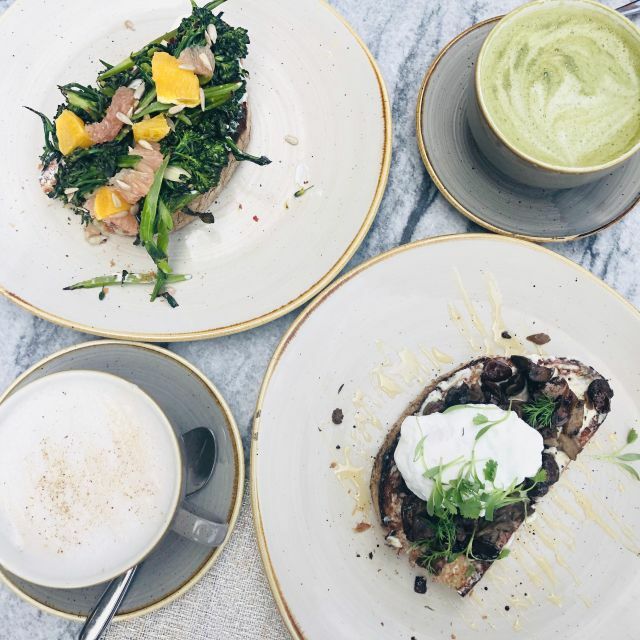 The grab and go menu at Vim & Victor features a variety of smoothies, juices, pastries and seasonal pizzas, while the full service restaurant offers guests a selection of toasts, salads, burgers (including a plant-based option) and entrees such as a Whole Roasted Branzino and a Dry Aged Bone in Ribeye. I decided to celebrate my son's birthday at The St James (family tradition since it recently opened) and booked Vim and Victor as soon as I learned chef Spike was the mastermind. It turned out to be a BIG mistake : beverages were served after we asked twice and took half an hour. My wine even 10 minutes later than that. Of course food came after an hour!!!. Birthday dessert never came. Our server simply did not care. You can tell she hates her job. Manager not even once came to try to make it better. Bill was wrong. I can go on and on. By the way, place was not full. I have written reports in Opentable for over then years (VIP status) and this is the second one were I complain. I am generally very easy. Chef Spike is either unaware of how bad this place is managed or is treating this place as a cash cow machine with no customer service level expectations. It's a big mistake on his part too. He is a great chef and I hope this does not in any way impact his name, but he needs to do something about it. If restaurant is interested they can contact me. I took a pic of the check with my comments and left 5% tip when I should have left nothing. My friend had the lemonade and corn dog which she said was delicious and I started out with the best carrot cake ever with some espresso. 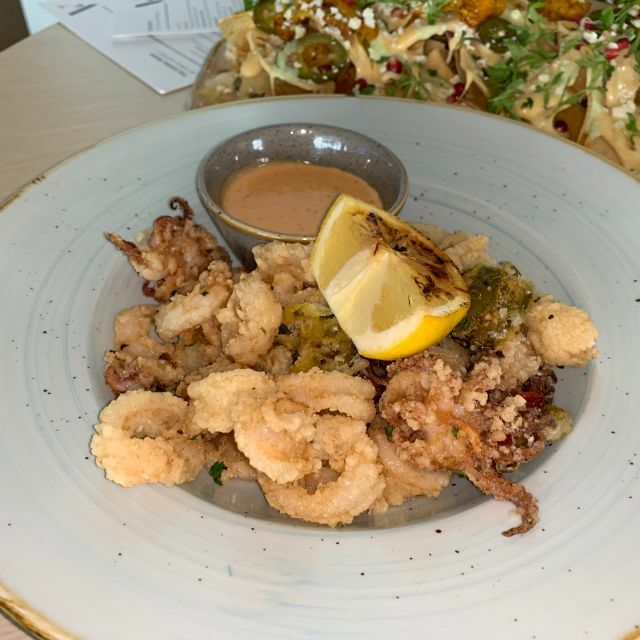 Then we had the nachos with cauliflower, and the crispy calamari. We were there for the divas game and got to watch some of the capitals playoff game right there at the restaurant. I was a little disappointed that the nitro cold brew was not available, but will be back to try it. 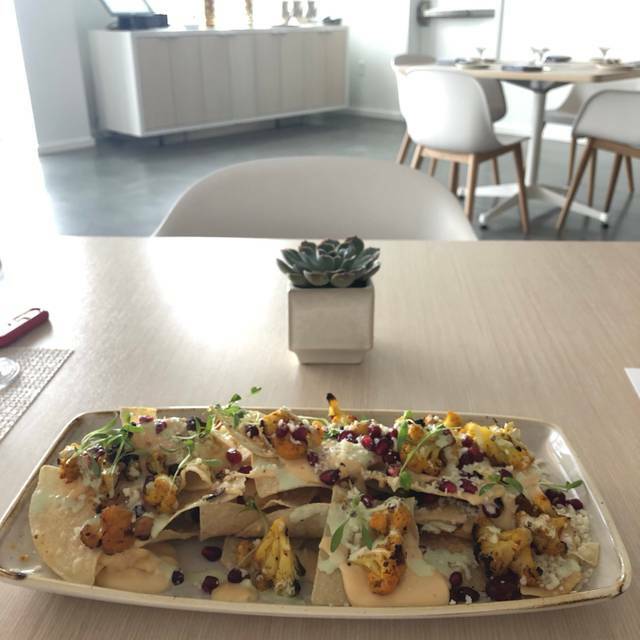 The nachos were also amazing but I thought there was a little bit too much spice on the cauliflower, the cheese was unbelievably delicious. Our first time to try it! Will definitely go back to eat, drink and hang out! Everything’s worth it! I have to say every time I come to The St James I am impressed. This was my first time at Vim & Victor and I was so impresssed. I had reservations and I was seated timely. The service was stellar (from the greeters, to the wait staff), and the food was everything I though it would be, delectable & well thought. There were options for everyone’s pallet. As an added bonus, Head Chef, Spike Mendelsohn (5th season Top Chef contestant) was there and was walking around shaking everyone’s hand & conversing. That meant a lot. I will definitely be back and will spread the word. This is an interesting restaurant - it feels a little schizophrenic in that it wants to be a sports bar (large TVs on the wall, a casual eating spot (couches where people can lounge and eat, or just lounge), and an upscale restaurant (high end food and high end prices). We thought the food was delicious, but it was hard to overcome the price point, while we are sitting next to people in athletic sweats and sneakers. I think the grab and go section should be more separated or partitioned off to overcome some of this issue. The service is very attentive, and lunch options are comparable to downtown. Ambience is lovely, and it’s generally quiet. The restrooms are conveniently located and the service is unobtrusive, so disruptions are minimized. Great place for a business lunch. Awesome food hoped to watch the Washington Capitals game and asked the waitress. Game was put on a few minutes then changed to basketball with no explanation. No worries the food was awesome. Food was meh. Service was OUTSTANDING. This was my 2nd time at this restaurant, and unfortunately it was not a good experience. We arrived a little before our reservation, however after leaving the restaurant, I received an email from Open Table saying we never showed up. In actuality, the hostess acknowledged that we had a reservation, but never marked it in their system. We ordered fairly quickly since we had been there before and knew what we wanted, however, it took over 30 minutes for the food to arrive and when it did, it was cold. The service was great and I really appreciate our waiter being accommodating by removing some of the items from the bill. However, it was still pretty pricey considering we left the restaurant starving. The food was excellent. The space is contemporary with concrete floors and lots of bright white. Its also very loud. Our waitress was very attentive but our dinners came out in the wrong order. Sides came out as appetizers and one salad, with the incorrect dressing, had to be requested. Twice. The server blamed the kitchen - but shouldn't she have checked our orders before serving? Food is great. Service was lacking. Loud with kids and so onmessing about, but it is in a fitness center. Sweaty dudes coming in for smoothies. Get the cauliflower nachos. Great food. Everyone is helpful and so nice. Was able to meet Spike Mendelsohn which was a real treat! Greeters could not figure out where to seat us although we had a reservation. Service was slow though place did not look busy. Waitstaff did an awful job of describing the menu and were inaccurate in presentation so we wasted money on items we didn’t want. Drink refills were never offered and we had to ask repeatedly for water refills. Not worth the price or time involved to sit through a meal. It is clear that Vim and Victor is still learning how to be a quality restaurant. I am giving this venue a benefit of the doubt because it is still fairly new on the scene. Additionally, Vim and Victor is primarily there to serve the St. James, which is basically a gym and sports complex on steroids. Since this my first visit and it was a Valentine's Day thing with a fixed menu for couples, I think it was a fair evening out. Clearly, the service still needs quite a bit of work. Ethan F. did a great job and apologized over and over again for the many hiccups. However, Ethan F. had nothing to apologized for. The challenges fell squarely on the shoulders of Vim and Victor organization. The first course Lobster Salad was a good dish (fresh and refreshing) The medium rare Petite Filet (main course) I ordered came well done. My dates seafood main course (Halibut with scallops and mussels) was also over cooked. The scallops were dry. Some of the mussels did not open during cooking, which indicate the mussels were bad or dead when the cooking process was started. Unopened mussels should never be served. The wait staff did not know the sparkling wine (no Champagne was on the wine list) should be served first with the first course. The staff did not know how to open the bottle of wine or that it should be decanted so it would be ready for the main course. Nor did they understand I should have been offered to taste the wine prior to decanting. I had to walk them through the process. The dessert course (third course) was fair. The white chocolate mouse was dry and tasted a couple of days old. More like I would expect to get from a mass produced dessert from a grocery store. I will give Vim and Victor a few months to iron out the bugs and give them another try. Great food but horrible service. Hopefully they are just working out the kinks of a new restaurant. Took 1.5 hrs to get our entree during their Valentine’s Day event. Filet arrived raw and seared vice medium as we ordered. Second try was filet medium well and took along time to refire. Was not overly busy. Wait staff was apologetic and kept saying the manager would be by to talk to us but never did. Once food arrived, it was good. Just wished it was timely and that my husband and I could have eaten our entrees together. I loved this restaurant. The muscles were some of the best I have ever eaten...juicy, plump with bacon , blue cheese and a sauce to die for...perfect. My boyfriend really enjoyed the ribs as well. The truffle mashed potatoes hit the spot. Our waitress was very friendly and attentive. She even arranged a meet and greet with Chef Spike, who turns out to be a very gracious down to earth person. Vim and Victor had excellent food but the service was lacking for our visit. It is located in the new St. James sportsplex but you do not need a membership to order food or drinks. For our order, we requested that our two year old get her meal first along with appetizers but when the appetizers arrived, our daughter's meal did not. Appetizers were out promptly as were the main entrees shortly after but again no chicken fingers for our daughter. The server did not check in on us after our meal arrived and we had to flag down a manager to ensure our daughter's meal was still coming. It did end up arriving after we were mostly done with our main courses which was disappointing. We ordered dessert since we were celebrating a birthday and the wait seemed much longer than the entrees. The menu options we sampled were excellent: Apps - Octopus, Calamari, Truffle Mashed Potatoes and entrees: Beyond Meat/Veggie Burger (tasted like meat! ), Braised short rub, Salmon) and the ambiance was great- classy for folks that want to dress up but still accommodating to folks just finishing a workout or practice. Entrees ranged from around $17-$40 but generally had fair portions and were well presented. Beware, if you have a party of 8 or more, you automatically have to use the Pre-Fixe menu which is $45 per person for three courses. This was probably still a good value but limited in terms of all the other offerings. The restaurant was kid friendly and had a decent selection of cocktails, although they could expand their craft beer menu a bit considering all the good options in the area. 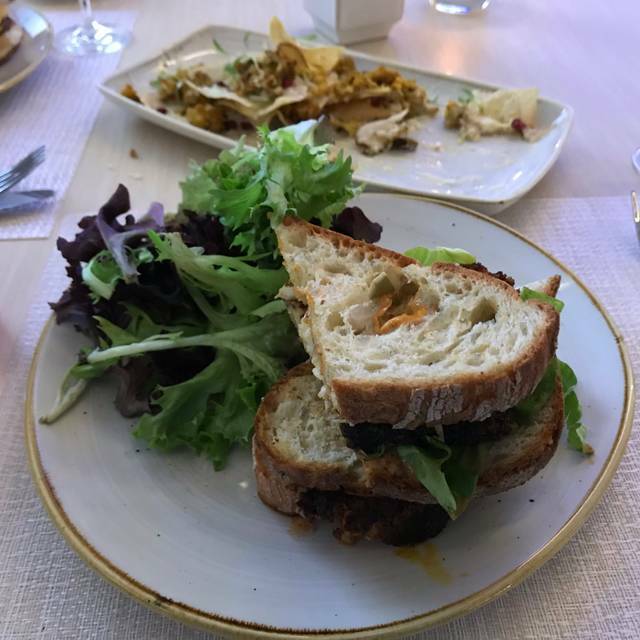 Despite the issues we had with the service and the missed order for our daughter, the food was very good and we could understand that kinks were still being worked out with a restaurant so new. For that, we'd probably give it another chance. For those who have not had a chance to check out the St. James, and Vim and Victor, do it. It's worth it! Great service. Great food. We will be back! The food was pretty good but overpriced. The service was bad. We had to constantly get out waitress’s attention and it was pretty empty. Waitstaff was standing all together talking and no one was speedy. A little pricy but good food overall. Service as good though they forgot a dish. Staff is super nice. Food was excellent, service was great. We were lucky the chef was there and he was gracious enough to take pictures with us even though his family and two little kids were there. The food was delicious and well prepared; presentation was perfect and servers, Managers where at there best. Great all purpose resto from Top Chef alum and DC restauranteur Spike Mendelsohn. The space is comfortable and casual. Service was enthusiastic and attentive. There’s much on the dinner menu of interest. We tried the crab arancini, which were perfectly fried- light, delicious and greaseless. The were complemented by bright shaved radish and apple, diced peppers and a rich aioli. Sides of cauliflower and fries were excellent. Definitely will be back to try more of the menu. My husband and I went simply to try a new restaurant. We saw an excellent review in The Washington Post. Service was welcoming but felt disappointed in the food. My husband ordered the Vic burger, felt he'd get a better burger at Glory Days. I ordered the Cauliflower Nachos which were a great app. My Blackened Grouper was served on sourdough which was a nice compliment but over done on blackening spice. Nice beer selection of micro brews. My husband is a big bourbon fan but found selection limited with Evan Williams and many varieties he'd never heard of. He's used to Knob, Jefferson Reserve, or Makers Mark. I understand they've only been open a week and as many new restaurants need to make adjustments. Overall I feel this restaurant has potential but overpriced. We sat down for lunch on a Sunday afternoon. Fantastic menu and food quality. Everything was fresh and delicious. The service was a little slow (assuming because everything was made fresh), but very friendly and attentive! It’s a great place to grab a bite after a workout or sporting event at the complex, and we can’t wait to go back.